Besides being my birth month, November is a month full of juicy persimmons! 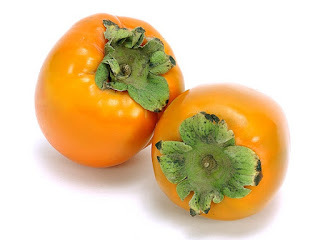 And I love persimmons. They are rich in vitamins A and C, contain calcium, potassium, magnesium, iron and have twice as much fiber per 100g than an apple. 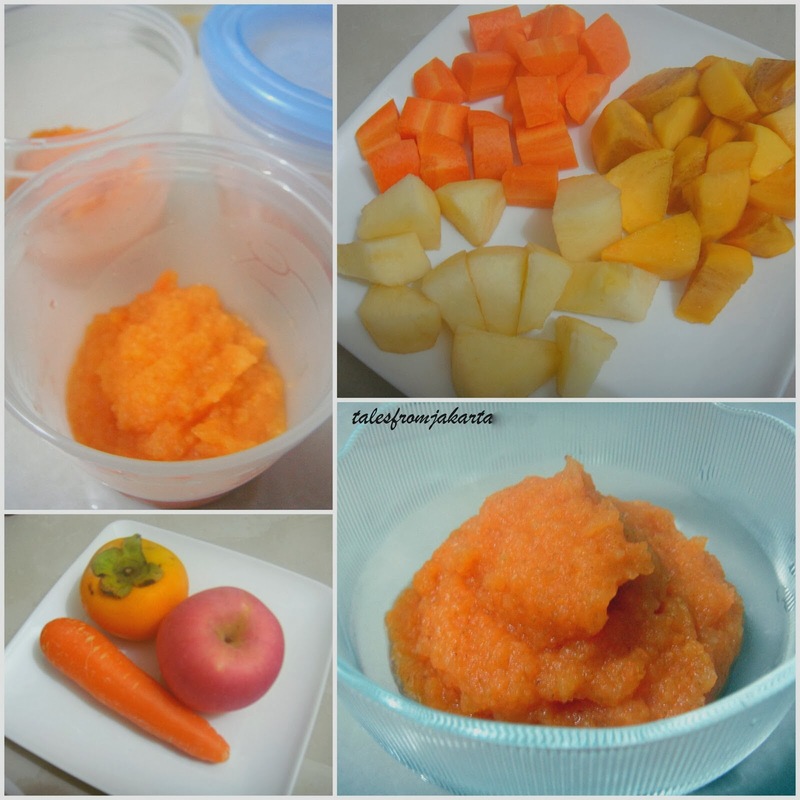 This recipe makes good combination to prevent constipation in babies. At 17 months, Meagan is very much capable of chewing but she loves pureed food to go with her oats for breakfast so I'm making this just before my delivery to last her at least 2 weeks when stored in the freezer. Wash and cut all the fruits into small cubes. Steam the carrots for 5 minutes. Add in the apples and persimmons into the steamer together with the carrots and steam for another 5 minutes. Pour out the juice into a cup. You don't want the puree to be too watery. Blend all the fruits to puree. If the puree seem to be too thick, stir in juice till the desired consistency is achieved. Alternatively, if the puree is too watery, add in baby cereal or oats to thicken it. You may also choose to blend it a little coarser for older babies and toddlers.